In recent educational literature, it has been observed that improving student's control has the potential of increasing his or her feeling of ownership, personal agency and activeness as means to maximize his or her educational achievement. While the main conceived goal for personal learning environments (PLEs) is to increase student's control by taking advantage of Web 2.0 tools and technologies, there is not a robust learning model available to achieve it. This contribution focuses on proposing a learning model built upon self-regulated learning and student's control theories and concepts, and supported by the learning affordances of Web 2.0 tools and technologies for enhancing student's control by developing and applying Web 2.0 PLEs. Rahimi, E., Berg van den, J. & Veen, W. (2015). A learning model for enhancing the student's control in educational process using Web 2.0 personal learning environments. 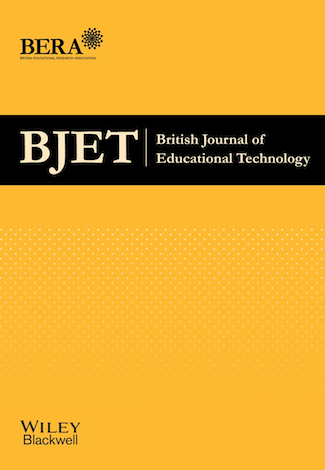 British Journal of Educational Technology, 46 (4), 780-792. Wiley. Retrieved April 18, 2019 from https://www.learntechlib.org/p/151091/.